Author Janice Thompson’s novel Queen of the Waves is part of Summerside Press’s American Tapestries series. The book is a story of deception – a deception that begins with a young socialite, Jacqueline Abingdon that grows to include many people. The book is set in 1912 and Jacquie feels her father is hopelessly old-fashioned to expect her to participate in an arranged marriage that also includes a business merger. Jacquie’s mother covertly arranges to send her daughter to the United States to avoid the planned marriage. She arranges a ticket on the Titanic’s maiden voyage. Jacquie wants to marry the groundskeeper on her father’s estate and arranges for a surrogate to take her place on the trans-Atlantic voyage and the deception begins to grow. More and more people are involved in the lie that abruptly comes to light when the Titanic sinks. I remember viewing the movie Titanic back in the mid-1990’s and the images I watched on the screen did not impact me as much as Thompson’s written descriptions of the ocean disaster. Throughout the book, the author pulls in a plethora of people that have passage on the Titanic, describing them with a detail so graphic that when the disaster occurs the reader has a deep emotional reaction. Thompson also draws a close look at the different classes and many ethnicities that have passage on the doomed ship. This adds to the richness of the images of the people involved in the catastrophy. This is a story of deception. It is also a story of redemption. I believe the best part of the book was the author’s showing the amazing power of God’s forgiveness. In the midst of a complex and circuitous deception that has grown to involve many people, God’s grace and forgiveness is described beautifully. It gave me a strong sense of how God can intervene even in the most complicated webs sinfully designed by people. I wholeheartedly recommend this book. It is a captivating story but it also stunningly shows God’s immeasurable love for sinners – his grace and mercy even in the most horrible times. This is a book worth reading. 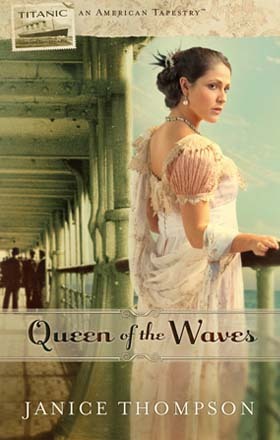 Buy Queen of the Waves for $8.97. 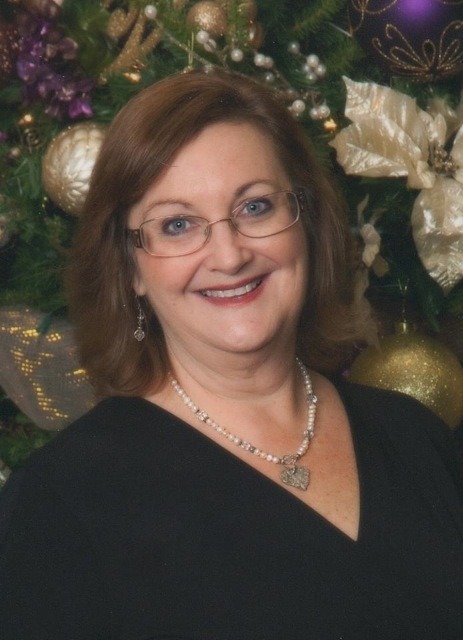 Award-winning author Janice Thompson, who also writes under the name Janice Hanna, has published nearly eighty books for the Christian market, crossing genre lines to write cozy mysteries, historicals, romances, nonfiction books, devotionals, children’s books and more. She formerly served as vice president of the Christian Authors Network and was named the 2008 Mentor of the Year by the American Christian Fiction Writers. Thompson lives in Spring, Texas, near her four grown daughters and young grandchildren. She leads a rich life with her family, a host of writing friends and two mischievous dachshunds. Find out more about Janice at http://janicethompson.com. Celebrate with Janice by entering to win a Kindle Fire! Thank you so much for reading and reviewing. I'm so glad you enjoyed Tessa's story!